Welcome Amazing Lash Studio to Dallas! Naptime Design is proud to say that yet another incredible business has made it’s way into Dallas! I am huge fan of beauty products and of course am always looking for the next best thing for keeping a youthful look, of course. Who doesn’t want that? And a new beauty studio opening just in time to get primped for those holiday parties. I had the privilege to learn about the Amazing Lash Studio (at Old Town in Dallas, Texas) over a year ago and am so excited to finally see the business concept up and running. We at Naptime Design, LLC are the most excited about their quietly mentioned tag line (“Big D style”) for their Grand Opening! Who doesn’t want free beauty services, every attendee receives a certificate for a free set of lashes. I know from personal experience, a set of lashes is not an inexpensive gift – new sets of lashes can run in upwards of $300 and that’s a fairly modest price comparison. I personally vouch for the owner of Amazing Lash Studio, as I have known him since 1998, that seems like yesterday, but it was actually quite some time back. I love everything about the concept, the business model, the location and the very people who you will all interact with at the company itself. Would you like to dramatically enhance the appearance of your eyes without a lot of fuss? Can you imagine starting your day looking incredible without spending a minute in front of the mirror? If you live in the Dallas area and want to enjoy the perks of amazing, custom lash applications, you need to pay a visit to Amazing Lash Studio. At our Dallas location, you can have individual, semi-permanent lash extensions applied quickly and for a very reasonable price. When you step back out the door, your eyes will be utterly transformed! – See more at: http://www.amazinglashstudiodallas.com/#sthash.szxJD8oc.dpuf. One hour is all it takes to instantly transform not only your face, but delicately exaggerate your eyes with a semi-permanent product. Come to the Grand Opening party, learn more about Amazing Lash Studio, enjoy food, drinks, fellowship and walk away with some great parting gifts. RSVP via Facebook or Google+. Sometimes in life, we all have to take a break. So far, in the last 7 years as a Work at Home mom (WAHM), I haven’t taken many breaks, actually none at all from work. I have learned that when you are too busy to do the things you love and help others, you are just plain too busy. I have always had a hard time saying, “no” which meant I did way more than I ever needed to. This being said life has a way of slowing you down. I have learned to focus on my strengths and work on the things that I love! How is work, work when you LOVE it! I love social media and marketing more than anything – blogging, graphic design, photography and being crafty all come in a very close second! Naptime Design is not going away at all – we took a break, caught our breath and have so much more focus now on what our true vision is. If you want to continue to do what you love, let us worry about your online imagine, blogging or social media. I love keeping in touch with customers and hearing all about their experiences with your business. Do what you love and so will I! Stay tuned many great things are coming your way! What a great information from those who know writing best, professional writers. I hope this article gives you some insight into great ways to hone your craft of blogging or writing in general. Let me know your thoughts. Did you learn something new, change your opinion on blog writing or think up a few new ways to tweak what you are already doing? If not inspired by the words you read, why not? Tell me – I’d love to know. Way back in September (I wrote this immediately following the conference, but life’s been a little busy since), I had the great pleasure of attending Bloggy Bootcamp 2012 put on by the SITS girls! What an amazing weekend! Not only did I learn more than I ever anticipated, I met so many familiar faces from my years of blogging, social media and twitter friends! There is nothing better than putting a warm smile to the face you’ve interacted with via twitter, etc for so many years. The familiar faces, sweet friends, great company and food, and the invaluable information shared by fellow bloggers. Identify a few critical tasks that contribute most to income, scheduled with short and clear deadlines. Multiply your strengths – outsource the rest. Have office hours and strictly abide by them. Don’t spend time, money or effort on things that don’t give a return (PERIOD). Tell a story with photos and always, always, always brand those photos. Don’t fear eBoooks – we all have great information to share. Solving someone else’s problem will make you successful. Learn your readers and rely on SEO strategies to improve traffic. Hire designers to help give my blogs a fresh look (I can no longer bear what I’ve toiled for months on). Make new friends and keep the old, one is silver and the others gold – Network! Do what I love, love what I do! Social Media Marketing and SEO – Oh My! In today’s world, a social and web presence are not optional, they are a must and vital to the success of your business. I am here to say no matter how small your business is, a digital presence in the world is easier than you think. First, you must have a plan of action. Create a marketing plan and social media plan for your business. Of course newly created businesses rarely have much wiggle room for paid marketing, but social media is thankfully free and if you use it wisely, you will quickly reap it’s rewards. Looking at your financial status, figure how much you can realistically spend on your web design. Often you can locate another small business/boutique style designer like myself to create a WSYWIG (What You See Is What You Get) site or site on another platform, such as Word Press of Joomla. Expect a website to cost you between $2000-$5000 as a low ballpark average. First of all, you may be unsure of what exactly the acronym, SEO means. If you don’t this may be your biggest roadblock – Search Engine Optimization. 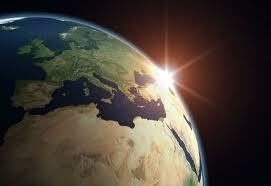 How you rank compared to the world? Compared to your competitors in your region or around the world. Mashable has a great article on ways to increase your SEO. There are many ways to increase your SEO. Often SEO and website design go hand in hand. A big part of SEO is meta tags – these are keywords or main ideas that best describe your business or site. These help your rankings in search engines and help drive more business to your site. In addition, to correctly using meta tags, proper web platforms, social media, and blogs are also huge components of driving traffic to your site, and making your web-presence more prevalent. Do you have a Facebook page, Twitter handle (@businessname) or LinkedIn accounts? All of these not only increase your SEO, but help you create an online community of customers and supporters. Here is a great article from the Social Media Examiner on small business successes with social media. Now social media is great, it keeps our customers connected, up-to-date, involved with our business when properly managed, but what about email marketing and newsletters? Are these a thing of the past? Think again. Email marketing is still a useful and widely accepted marketing tool that businesses should still utilize. I wanted to hear what other experts thought where the best email marketing tools out there and this article beautifully sums them up. What are your goals for your small business in 2012? Do you need a consultation? Should you outsource social media and other web related business? Sit down, grab a pen and paper and map out your goals, think about how those should look and then compose a plan to help you achieve those goals. Have questions related to this blog or any other social media, web design, or graphic design questions? Contact me Katherine Fell @naptimedesign on Twitter or katherine@naptimedesign.com. Small Business: SEO, Email Marketing, Websites and Socia Media – Oh My!!! Mack Collier, of mackcollier.com says it best in his article re-pasted below. In the New Year my goals are to ensure my blogging doesn’t take a backseat – how about you? What are your go-to buckets? Now the great thing about this approach is that notice since I have 5 Topic Buckets, if I just write one post a week from each bucket, I’ve got 5 posts for the week! Or I could spread those 5 posts out over two weeks, so I have 3 posts for the 1st week, then 2 for the second week. And if I wanted I could add a 3rd post in that second week, either from one of these buckets again, or maybe I want to let you know about a Live #Blogchat coming up, or an event I will be speaking at. But once you’ve created your Topic Buckets, it makes it MUCH easier for you to organize the content you create on your blog! And if you want to be super-organized, you could say pick 3 Topic Buckets for your blog, then write a new post for the 1st one every Monday, the 2nd bucket would be every Wednesday, and the 3rd Topic Bucket’s post would be every Friday! So thanks to Topic Buckets, we’ve tackled the issue of how to create more content. Really, the biggest issue you will have with this is deciding on what your Topic Buckets should be, and how many you should have. I think 3 is the perfect number, if you get over 5, then you should probably consider spinning some of them off into a new blog, or eliminating some till you get back down to 5 or less. Now, let’s talk about optimizing your posts for search and SEO. Let me say up front I am NOT an SEO expert, the following is good old-fashioned ‘common sense’ advice that I learned by reading SEO experts, then experimenting with my own content here, and seeing what worked, and what didn’t. This is 101-level stuff to get you started. I would recommend that you try this, and then when you see the positive results, that will probably whet your appetite to want to learn more about SEO. First, learn to write better post titles. Seriously, this was the biggest improvement I made in my blogging this year. But it goes beyond simply writing a ‘catchy’ headline, you need to seriously consider what words you use in your headline. Because what you want to do is use certain search keywords and terms in your post’s title. 3 – How to Start a Twitter Account For Your Business in 5 Minutes! See how those post titles closely resemble what the marketing manager was Googling? If you can use the same or similar keywords and phrases in your post title as what others are searching for in search engines, you will greatly increase your post’s chances of ranking high in search results for those words and terms. Another tip: Use your keywords as close to the start of the post title as possible. This helps, but isn’t an absolute. For example, the first post title of ‘Four Innovative Ways Businesses Are Using Twitter’ could be changed to ‘How Are Businesses Using Twitter? Here’s Four Innovative Ways’. You may want to make this change because the term ‘How Are Businesses Using Twitter’ will be what more people are searching for. Personally, I think the 1st version of the post title flows better. Finally, use the same keyword/phrases in your post title, in the post itself. Ideally, you want to use the keyword phrase, such as ‘How are businesses using Twitter’ up to 3 times in the post. Or at least once at the start of the post. You want to do this because this helps Google and other search engines correctly identify what the post is about. Google will scan the post and if it sees the same or similar words and phrases repeating in the post, then it assumes that’s what the post is about, then when someone searches for those same or similar phrases, your post will rank higher in search results! So that’s enough to get you started. Start creating Topic Buckets for your blog, then start beefing up your post titles with the proper keywords and phrases. I think you’ll be pleasantly pleased with the results you see! New Year’s is upon us and we all hope to make each year better than the last. I was perusing my Facebook account and happened upon Craig Darling’s inspirational idea that New Year’s Resolutions should be goals rather than hokey resolutions. He said, “I know it is hip to set a few resolutions. How many do we actually keep? It is a pretty poor success record over all… Try to set some goals instead. Goals drive you in ways a resolution can not. Set a detailed goal.. and every time you ponder your goal… picture the success in your mind.. Did you know that many years before Jim Carey made it big… he wrote himself a check for 10 Million to make a movie… kept it in his wallet. Hey, that goal worked out for him… Try it… To your successful New Year then!” I think this is a much better resolution to resolve to set achievable goals that short term plans – remember habits take weeks at a minimum, on average 66 days according to Psych Central (http://psychcentral.com/blog/archives/2009/10/07/need-to-form-a-new-habit-66-days/). So in the spirit of the New Year and all things new let’s check out a this article featured today by Laura Frongillo, Salary.com contributing writer. There are great tips for stepping out of our ruts and getting on with the new. Many thanks Laura Frongillo for your encouraging words and ideas. Overwhelmed by the difficulty or size of a pending chore? Make use of calendars and computer alarms to plan out and schedule small pieces of big projects. Doing a little at a time is usually easier than tackling a whole project at once – and always more productive than putting it off ‘til you’re “up to” a big challenge. Do you clean up your act every few months only to find your folders empty and your desk a mess again in no time? If you’re constantly unable to find things, you may be trying to adhere to a filing system that doesn’t work for you. Notice where your various papers naturally end up and base a new categorization scheme on what works for you. 3. Are you too accessible? Nothing hinders a project’s progress more than incessant interruptions. When you really need to focus, be sure you will not be bothered. Let co-workers know you are busy. If you have a door, shut it and hang a do not disturb sign. Turn off phone ringers if possible, as well as instant message boxes and incoming email announcements. Sometimes it gets a little too easy to join in the office banter, even when it starts heading down the wrong path – like discussing the boss’s bad breath or which sales rep’s going out with which admin assistant. If you need to vent about a co-worker, do it with a trustworthy non-colleague. Limit the work coffee talk to sports and “Idol” chatter. Do you arrive at your office without a plan for the day or run into meetings unprepared? If so, it’s likely you’re wasting valuable time – and annoying your co-workers. Leave the poor planning in the past. Take a few moments to write a to-do list or an outline for the next day or an upcoming meeting so you can show up ready to go. If you find you are constantly 10 minutes late for work or appointments, chances are others notice it too. Nip this habit in the bud by setting all your alarms 15 minutes earlier and leaving yourself an extra half hour to get to work. The worst that can happen is you’ll be a little early and find yourself with some valuable free time. Remember, your cubicle is not your castle. That’s because in most offices cube walls are not made of stone. Therefore it’s not okay to talk loudly, produce offensive smells, clip fingernails, blast music, belch, or cough incessantly. Be sure you leave the nail clippers, dental floss, strong perfume, and colds and flu at home or behind closed doors. It may seem like keeping your nose to the grindstone is the height of efficiency, but studies show that taking regular breaks from your work is a more productive approach. Step away from your work every so often so you can come back with a fresh outlook. Or take a break from one project every so often to work on another. It’s easy in an office to get into a sedentary routine. But your physical health has a direct correlation to your mental health, which in turn affects your work success. Bringing healthy snacks to work instead of eating fast food can do wonders for your mood. Likewise, taking a walk after lunch can revitalize both your body and your mind. Once you’ve divested yourself of behavior that may be holding you back, replacing it with positive work habits should be easy – in fact, it often happens automatically. Congratulations on leaving the past behind and following the road to career success! Now, how about resolving to call your mother more often? Great article Laura, now what we do with these items are what count. I wish someone had written this when I used to work a full time, in office, job, but of course many of these items still apply to the work at home, self-employed. Let’s start making those goals today and not wait until the New Year to get started. 66 days start now! Happy 2012! A Year In Rewind – 2011 What a time! 2011 has been a wonderful year filled with joy! Naptime Design has taken on numerous new clients and projects. I am so beyond words as to how thankful and blessed I have been. 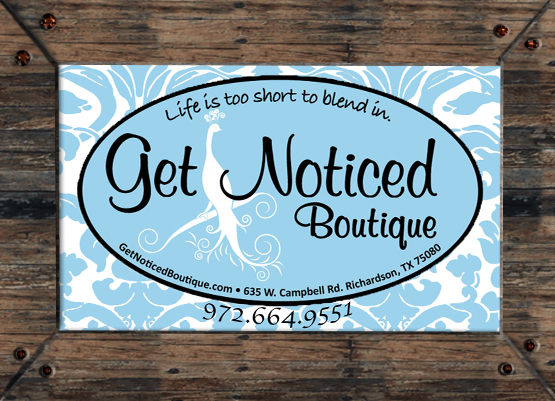 In the past year we have continued to serve a wonderful boutique (as we have since 2008/2009), Get Noticed Boutique, in Richardson, Texas. I maintain their website, social media, email marketing and all their graphic design and photographic needs. Around the same time I began helping Canyon Creek Fitness with their website and social media management and set up Cottonwood Creek Civic Associations websites. 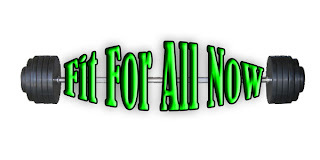 Later in 2011, I began work with Fit For All Now with Stephen Volcik, my wonderful personal trainer and client, who I built a website for and maintain his social media, blog and graphic design. The work for him has been rewarding and fulfilling as I have also been able to create and maintain his YouTube channel as well as his photo galleries. Another fantastic unique small business who we assist is Southern Vintage Glam in Plano, Texas. This shabby chic boutique and with a hair salon station in the back of the store, on 15th street in Plano, just down the way from Urban Crust. We enjoy photographing their merchandise, updating and maintaining their website, and managing their their social media. I love that Naptime Design is not limited to any category of business. I love helping my sweet childhood friend with her online handmade craft store, The Sweetest Stitch. It has been so fun seeing all the wonderful crafts that such crafty ladies have made. Although, my friend runs her business from about 250 miles away from me, she has put me in charge of working on some of her blogging and graphic design as well as her managing her social media, Facebook and Twitter. A new industry that I am knowledgeable about, but certainly not an expert on has become a new client and interest of mine. Jerry Parks, of Traditional Select Homes, has hired me to manage his social media. I love keeping up with home building and remodeling. This is a secret passion of mine – I secretly desire to be home builder/realtor/stager – I love this industry. My knowledge may be not be 40 years like Jerry’s, but my personal experience of buying and remodeling the homes I have owned has been my own inspiration. Jerry has recently published a book on his incredible experiences over the past 40 years to help you build your dream home. 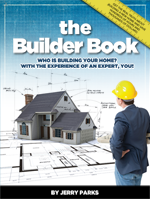 The Builder Book is a wonderful book that will help and inspire you. Check out his book, available for Kindle, on Amazon.com. 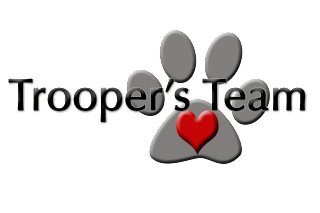 A passion aside from my husband, children and clients is my newly formed, 501(c)3, non-profit organization, called Trooper’s Team. Trooper, a badly burned dog, was found wandering the streets of south Dallas, and his story won the heart of my friend Kim Whiting, as well as mine. She fostered Trooper and has since adopted him. We started this non-profit organization to be able to support animal rescue groups and prevent the unnecessary euthanization of pets. 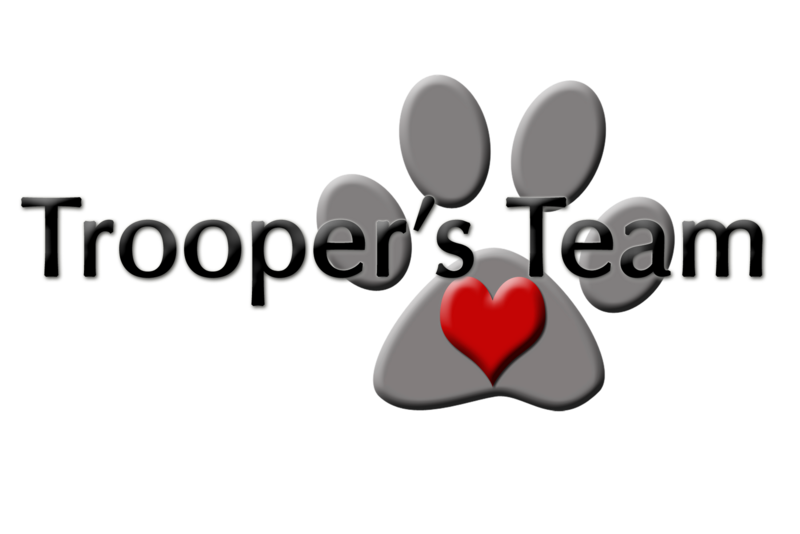 There is much more to come from Trooper’s Team – stay tuned in 2012 for great things. Over the past year, I have also has some clients which I have done graphic design work for, Ebby Halliday (Lake Highlands Office), Tina Booth (Scentsy distributor), numerious friends and family who have graphic design needs for invitations, etc. I love it all! There are special things in the works for Naptime Design and myself. I have loved 2011 and am anxiously awaiting all the fantastic projects ahead for 2012. Happy New Year! Stephen Volcik, personal trainer and owner of Fit For All Now has become a great friend and my personal trainer. I am pretty bothered by the fact that I haven’t worked out in weeks due to illness, but hope to “hit the ground running” (no pun intended) again starting next week. 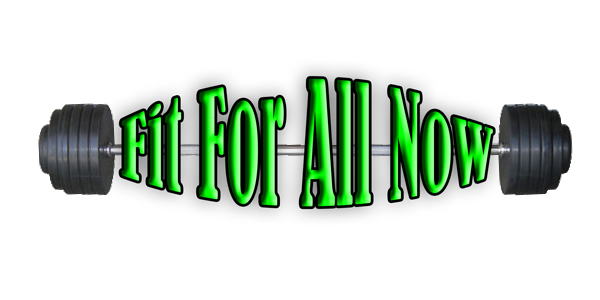 Fit For All Now’s website is now up and running. His social media, Twitter and Facebook are getting noticed, the blog now has some insightful entries and I finally nailed down a logo that we all agreed on. Stop by check out Steven’s pages and subscribe to his blog. He know his stuff and works hard to make everyone more healthy and fit. Meet my newest client, Stephen Volcik of Fit Now For All! Copyright © 2010 Naptime Design, LLC. All Rights Reserved.